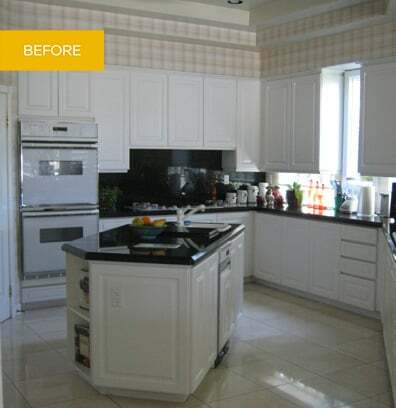 After visiting an open house in their neighborhood showcasing a whole home remodel by Jackson Design and Remodeling, this couple was inspired to work with us to remodel the kitchen in their new home. 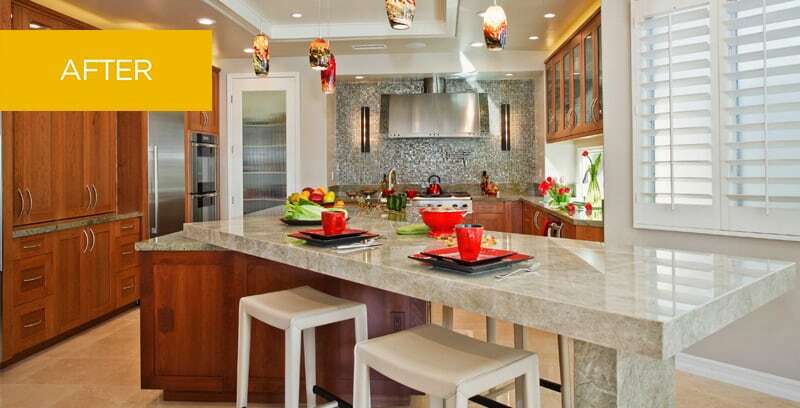 As enthusiastic members of a local wine club, the homeowners love to entertain. They wanted their kitchen to be a central gathering point in their home – a sophisticated, yet unpretentious space for welcoming fellow oenophiles. The most challenging aspect of this remodel was the room’s very unusual configuration and positioning. The designers developed not just cosmetic changes, but a dramatically different layout and point of view. The new kitchen design takes full advantage of the home’s spectacular views while also embracing the clients’ lifestyle by creating an open floor plan with welcoming bar island seating. The homeowners now welcome guests into a brilliantly re-imagined new space filled with light and warmth.